On Sunday of our West Virginia train ride weekend, we rode the New Tygart Flyer out of the station at Elkins. This was a diesel train, so it was a smoother ride than the steam trains. But we missed seeing the steam and smoke from the engine. 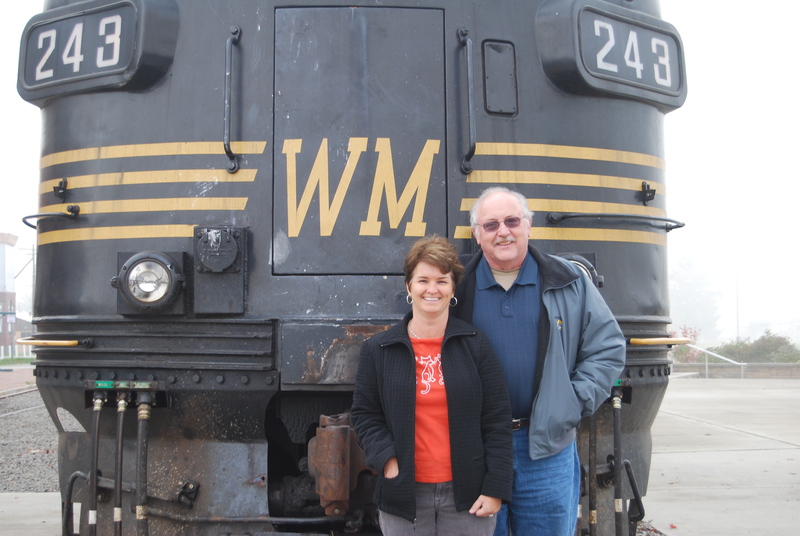 As always, before the trip, we posed for a photo in front of the train. Motor Man was being a bit playful. 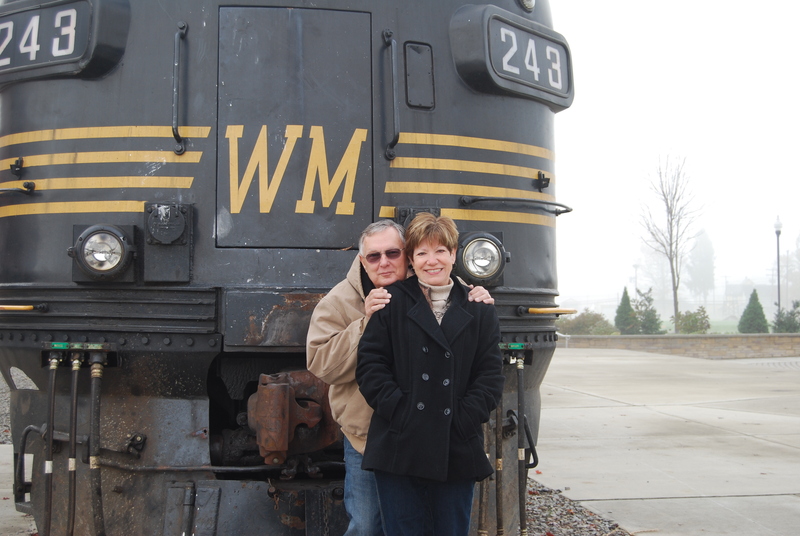 These are our friends, Bev and Bill; they’re always ready for a train trip too. The car we were in for this ride was toward the back of the train. 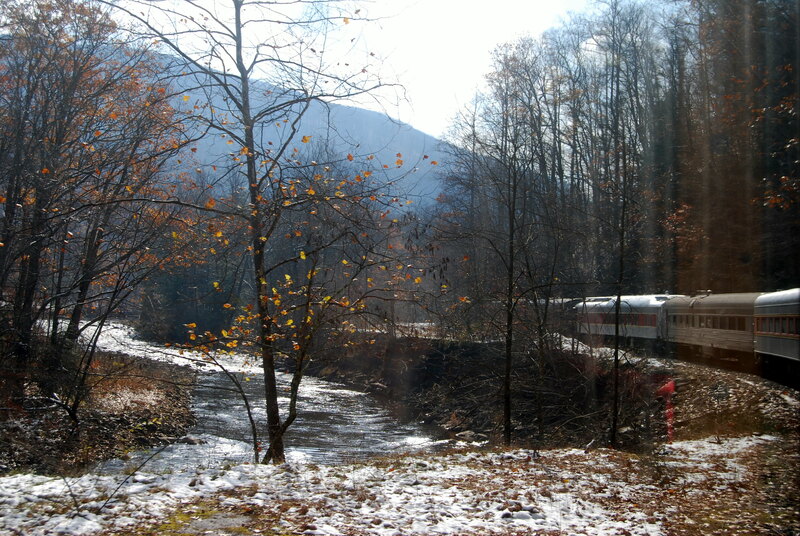 There’s a bit of everything in this next picture: the cars at the front of the train rounding a curve, a little snow, a little fall foliage, a river and West Virginia mountains in the background. 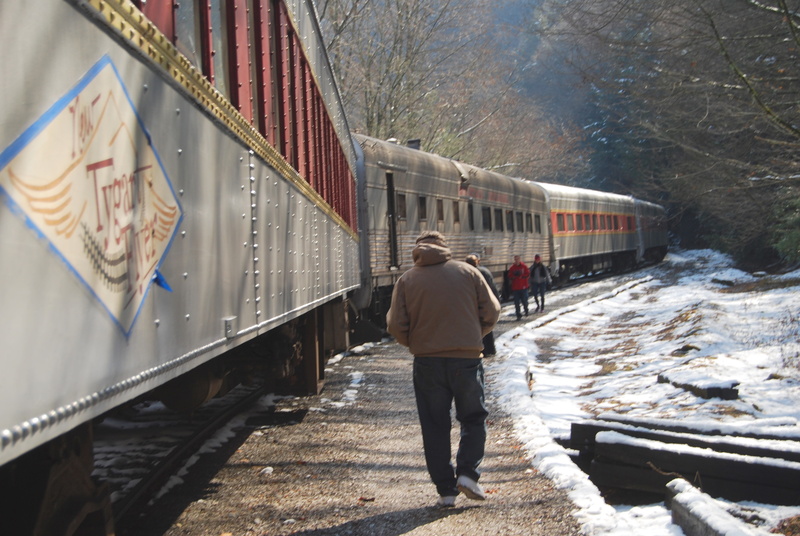 The train stopped for about 45 minutes to allow us to trek down a dangerous, narrow, slippery little trail to see the Falls of Cheat Mountain. 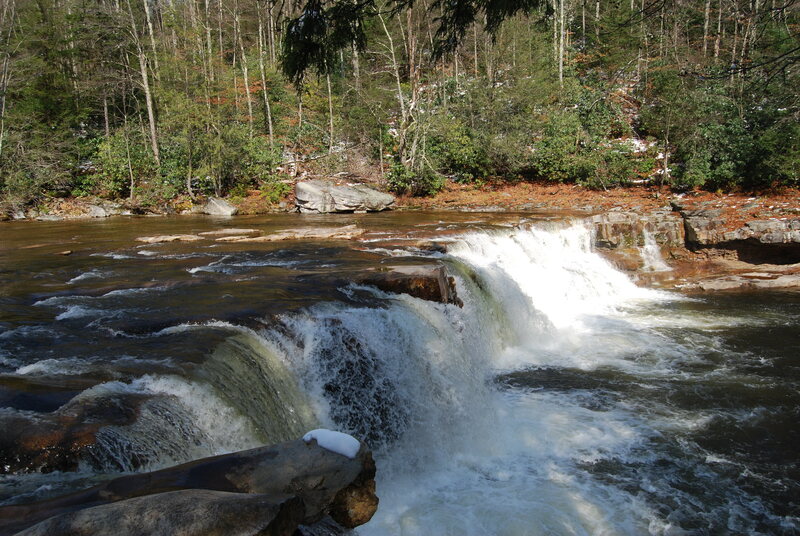 Then, we slid walked further down the dangerous, narrow, slippery little trail to see another view of the Falls. 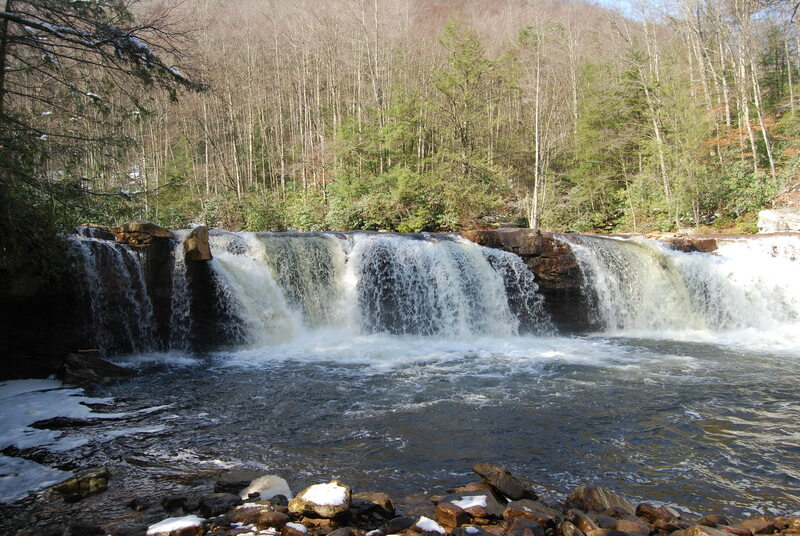 We decided that seeing the Falls was worth the danger of the trail. Time to re-board the train, Motor Man; our train ride weekend is almost over.